Christmas lights aren’t just for your tree and they don’t have to be just for Christmas either! 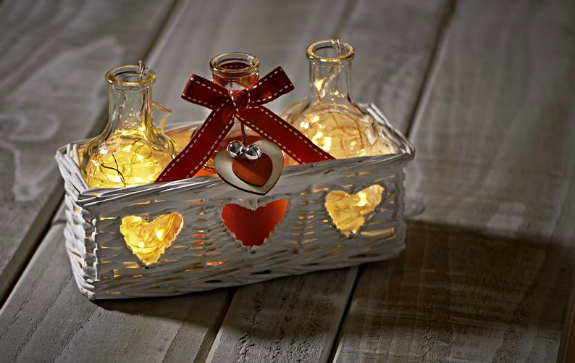 There are loads of different ways you can use them in your home to make decorations for your fireplace, table centrepieces, or just general pretty decorations for your home. Taking various sets of lights and jars, we set about finding all the ways we could use them to make Christmas decorations. Here’s what we came up with. 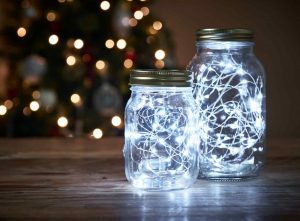 For a seasonal table centrepiece or fireplace feature, take Kilner jars of different sizes, unscrew the lids and add the lights. 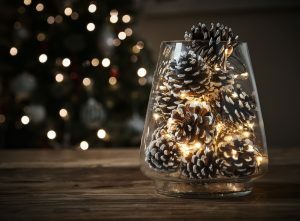 If you need to pack out your jars, add in decorations of your choice including pine cones or baubles. The design is totally up to you! 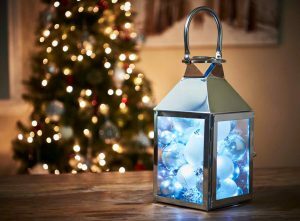 Take your lantern and add one layer of lights to the bottom. Before adding the next layer, carefully add in a couple of baubles (choose a colour that matches your overall festive theme) then add in your next layer of lights. Repeat until you reach the top of the lantern. Make sure you pop the battery pack at the bottom of the lantern to keep it hidden. Want to customise and jazz up your wreath? Get it done using a set of battery operated copper lights. 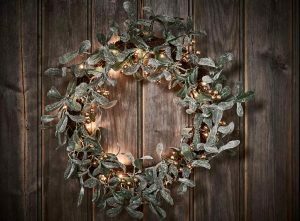 Arrange the lights around a wreath and hang on a door or wall (note, if you use these lights, don’t hang your wreath outside – these lights are for indoor use only). Try and position the battery pack at the back of the wreath to keep it hidden. The white frosted tips of these pine cones come to life with the bright copper lights. If art and craft is your thing, why not pick up some fallen pine cones and decorate them in your own unique design? 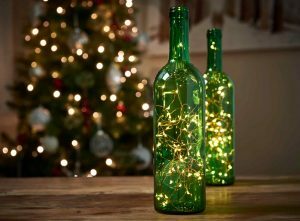 If you haven’t got any spare empty wine bottles, you can pick up these bright green ones at wilko. The copper colour of the lights matches the green tint of the glass perfectly.